Review: Stop: Hammer time! Optimo welcome a new person-of-mystery with two slippery club poppers that teeter between house, disco, funk and boogie. "At Once" struts with loose-strung bass, slinky beats and a possibly a vocal lament for days pre-social media (although we might be looking too deeply into that) "Stripes", meanwhile, goes back to the source: Arthur Russell's Felix guise with a slightly spiky, barbed twist on "Tiger Stripes". Needs more congas? Jump straight on the Special Disco Disco Remix. 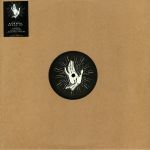 Review: Denis Sulta's Silver Service sublabel hits its third release with more serious club tackle that reflects the kind of gutsy, feel-good firepower the man has made his name on as a DJ. 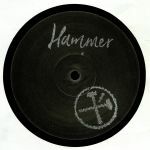 Sometime Bicep collaborator Hammer is up on the A side with the pumping "Dance Since", which strikes a deep and heavy tone suited to the blurry, late night big room house crowd, not least thanks to the massive power vocal treatment. Sulta himself takes on the flip as Atlus, employing a wild style tact that fires off modal acid riffs, primal cries and plenty of grit and distortion. The end result, "Angus", is a raging beast of a track to suit the gnarly basement as much as the festival tent.